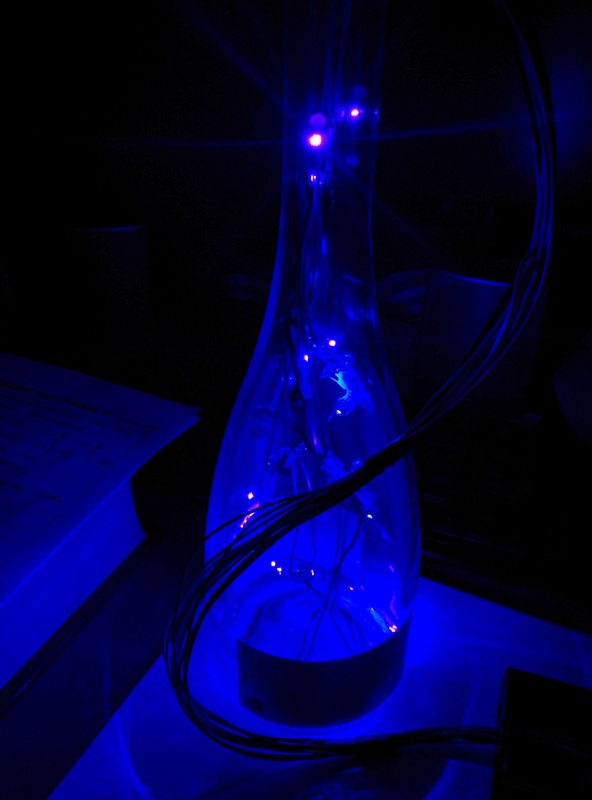 In February, a day or two before my Electronics II exam, I was bored, so I decided to build a lamp using a bottle of Akakies sparkling wine I had lying around and an ATTiny84. 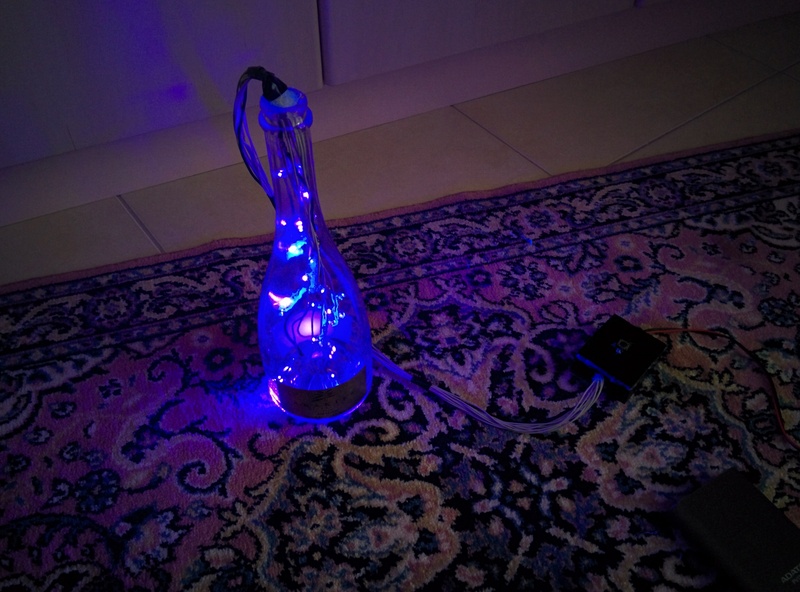 The LEDs are organized in 10 series of 3 LEDs each, connected in parallel. Each series is independently controlled by the microcontroller. Also, those series of LEDs are physically organized in 4 levels. The first (upper) level consists of a single series, the second has 2, the third 3 and the fourth (lower) 4. 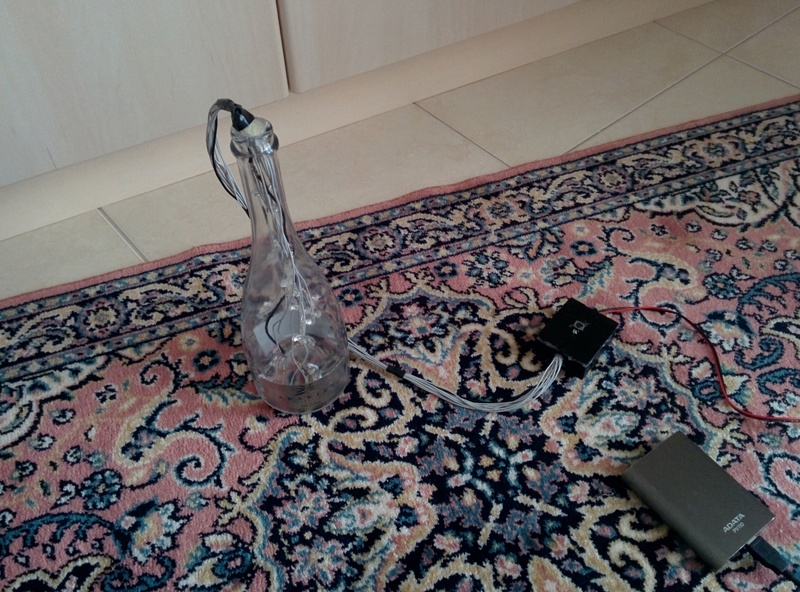 The tricky part is to deploy the circuit inside the bottle after soldering it.